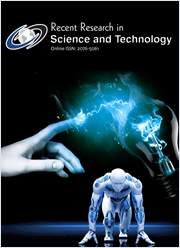 Researchers, Scientists and Faculty members can organize and guest edit special issues in Journal of Experimental Sciences. The proposal should be submitted to contact@updatepublishing.com with detailed CV and publication list of the Guest Editor, theme and expected types of articles. The proposal can be submitted throughout year. The proposal will be evaluated by the editorial office and a final decision will be taken. The article collection, review and acceptance are responsibilities of the guest editor and should submit only the final versions to the journal editorial office for publication. As Journal of Experimental Sciences follows a continuous publishing model, the articles can be added to the special issue soon after final approval of proof by the authors.